The opioid epidemic continues to plague New York City communities. According to the City’s Department of Health, there were 694 confirmed overdose deaths from January to June 2018, and a fatal drug overdose reported every six hours. More New Yorkers die as a result of a drug overdose than homicides, suicides and motor vehicle accidents combined. In Queens, Jamaica Hospital Medical Center which operates one of the City’s busiest emergency departments, has experienced firsthand the detriment the epidemic has caused. Last year, Jamaica Hospital’s emergency department treated over 200 patients for opioid drug overdoses. “At Jamaica Hospital our goal is to improve the health of our community in all aspects. We are committed to doing all that we can to combat the opioid crisis,” shared Dr. Shi-Wen Lee, Vice Chairman of Emergency Medicine. In addition to providing life-saving treatments in the emergency department, the hospital is the first in Queens to participate in New York City’s Relay program. “Jamaica Hospital is proud to work in collaboration with Relay. Since the program’s inception in August 2018 at this facility, our emergency department has made over 50 patient referrals,” said Joshua Sclair, Emergency Medicine Administrator. The hospital’s participation in the initiative offers the community resources that can potentially reduce the number of overdose deaths and provide access to supportive services. 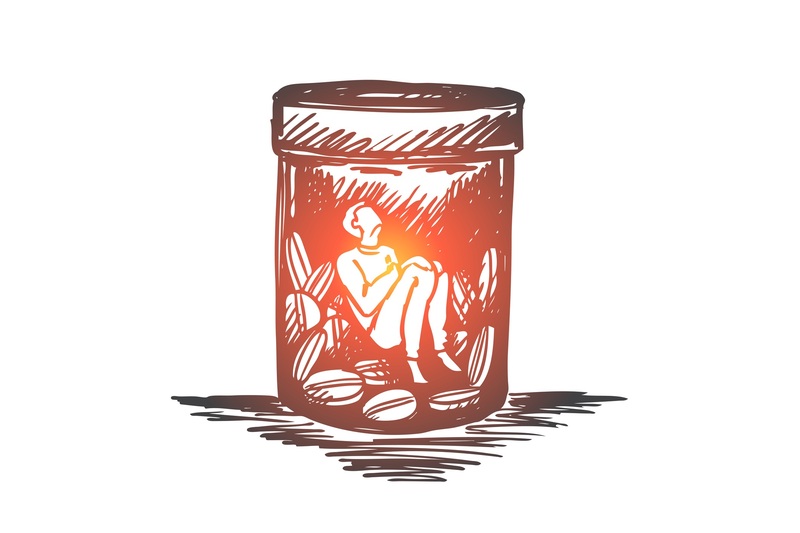 Any person in need of treatment for their addiction can come to the emergency department at Jamaica Hospital and receive help. The hospital has designated detoxification beds and staff that are specially trained to help patients with their treatment. This month we shine our employee spotlight on Crystal Fannin, Emergency Department Registrar Supervisor. 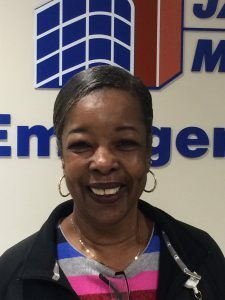 One of the many things that make Crystal special is that she has been working in the same department for over 39 years. Jamaica Hospital has been her only job and she is very proud to tell that to everyone she meets. She is very proud of the fact that she signed one of the bricks that was used to build the new main building and was also one of the people who got to sign the last steel beam placed in the new Trump Pavilion. Crystal was born in Brooklyn and moved to Queens when she was 11 years old. She attended Andrew Jackson High School and currently lives in the St. Albans area. She has two children, a son and a daughter and two grandchildren. Her children and grandchildren were all born at Jamaica Hospital so she has experience on many levels of the quality care people receive. Though Crystal spends much of her time at work, she does have a variety of things that she enjoys in her free time. She loves to cook, all types of food but her favorite is soul food, especially ribs and cornbread. She enjoys all kinds of music, in particular funk and jazz, and at one time she even played the drums. One of her favorite activities is going to the racetrack. Crystal says you only live once and you have to have fun. To prove her point, she has gone skydiving twice. Over the years, Crystal has done just about everything an emergency room registrar can do. 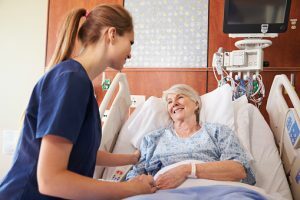 She knows many of the patients by name because she has seen them so many times. She can be described as a real people person. Everyone who meets her feels her sincerity and compassion. Jamaica Hospital is like a family to her and that is why she enjoys coming to work every day. Crystal feels very strongly about giving back to the hospital and the community. She and her mother raised money, much of it their own, to buy toys for the children during holiday time. She is truly an important part of the Jamaica Hospital family and we are happy to be able to shine the spotlight on her this month. 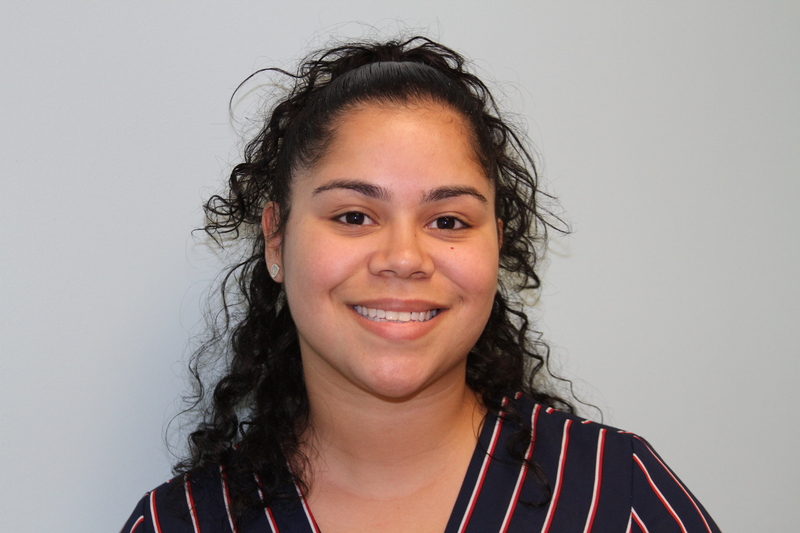 This month we shine our employee spotlight on Samantha Nunez an Administrative Assistant in the Department of Ambulatory Care at Jamaica Hospital. Samantha has been working at the hospital for the past two years, and prior to that she was at Flushing Hospital. Samantha is a native of Queens, having grown up and attended school in the South Ozone Park and currently resides in St. Albans. She is a graduate of Martin Van Buren High School and is now studying for her degree at Nassau Community College. 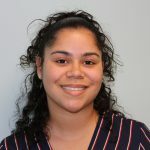 Samantha has been greatly influenced by her work in the health field and her future plan is to obtain a master’s degree in Business Administration, specializing in the health professions. In her free time Samantha enjoys going to concerts, movies, spending time with family and friends, and traveling whenever she has the opportunity. She enjoys all four seasons but the one she likes the most is Spring. Samantha is very close with her family, especially her grandmother who she tries to see as often as possible. She has a very strong relationship with her two sisters and is surrounded by a very nice group of friends that she also likes to spend time with. Samantha has two puppies, Simba and Bambi that she absolutely adores. Samantha enjoys the diversity of the people she works with at Jamaica Hospital. She finds her colleagues to be very much like a family, and everyone helps one another to provide a very high level of care to our patients. Samantha has learned a lot by working at Jamaica Hospital and it has definitely influenced her long term goal of being involved in healthcare. 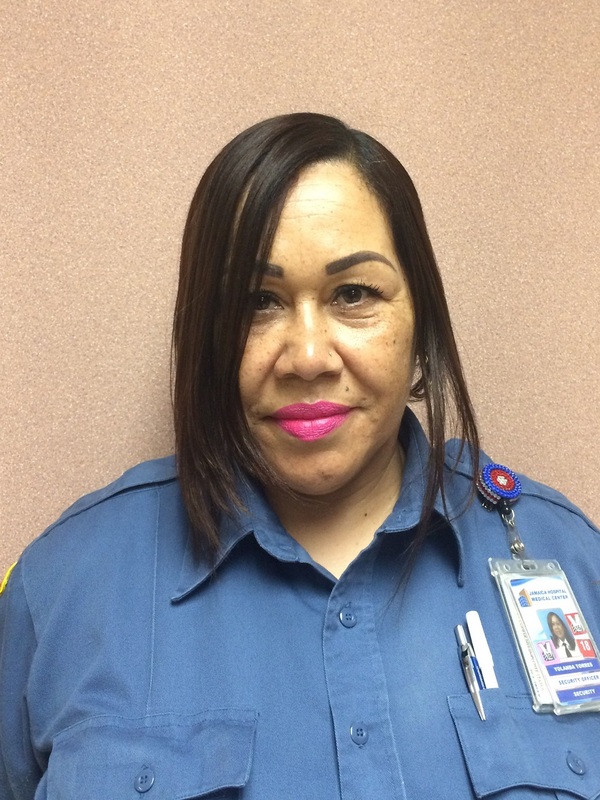 This month we shine our employee spotlight on Security Officer Yolanda Torres Jacobs. Yolanda is a true New Yorker who finds the city a great place to live. She grew up in Bedford Stuyvesant Brooklyn and attended Grover Cleveland High School. Her home now is in Queens Village which is both convenient to travel to work and also close enough to many of her family members. She grew up in a very loving family, with two brothers , a sister and many aunts, uncles and cousins. 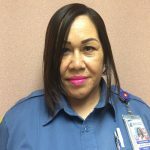 Yolanda has been working in the security field for 25 years. She has been at Jamaica Hospital since 2014 and prior to that she worked in security at JFK and LaGuardia Airports. She also has several years of experience working in customer relations positions which taught her many lessons that she uses when dealing with the public. Yolanda enjoys her job and finds it rewarding being able to interact with our patients, visitors and staff. She brings a positive approach to her job and does her best to make sure that everyone she encounters has a pleasant experience. Yolanda grew up with many kinds of pets. She has had dogs, birds and even snakes. She and her husband have a beautiful aquarium in their home and she finds it very relaxing to watch the fish. In her free time, Yolanda enjoys spending time with her family. Whenever she gets a chance she enjoys traveling with her husband to places near and far. She also enjoys cooking, eating in all kinds of restaurants, bike riding, going to the movies, dancing, and spending time with her family who she adores. Yolanda credits her family with giving her an outgoing personality and the enjoyment she gets from interacting with people in a positive way each and every day. Is There a Benefit to Wearing a Fitness Tracker? Generally speaking, if you are inactive your risk of experiencing obesity, low energy, diabetes and hypertension is higher. To combat these health issues, you can incorporate a brisk walk or run into your weekly activity. The addition of this type of movement to your day may prevent or, in some cases, reverse health issues. 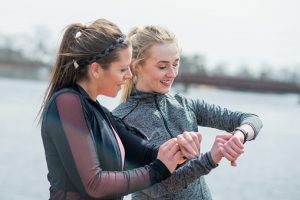 One of the ways some are finding it beneficial to keep track of their activity level is by wearing a “fitness tracker.” Surprisingly, one of the first reports you may receive from your tracker is that you are not as active as you thought you were. Most fitness trackers are a good way of monitoring your steps, calories, distance travelled, caloric intake, as well as your heart rate and sleep patterns. They can be viewed as your “conscience” for personal accountability and motivation for a relatively low cost. Encouraging physical activity – If you check your tracker and see that you are behind in your steps for the day, you may “step” up your game a bit and take a walk. Measuring your heart rate – This feature can give you hard data on the effort you exert while doing a particular workout and/or task. It can give you a hint on the condition of your cardiovascular system by allowing you to see just how quickly your heart rate increases. Providing insights on your sleep patterns – Sleep has a definite influence on your overall health. Fitness trackers that log sleep activity can help you address whatever is lacking in your sleep cycles. Encouraging healthy eating – Fitness trackers can come equipped with apps that help you track your food and may help with weight loss. Promoting interaction – Some fitness trackers allow the user to interact with other users, create group challenges and receive rewards for meeting goals. There really isn’t a downside to tracking your activity, unless you take your fitness tracker off and it remains lost at the bottom of a drawer. The entire staff of Jamaica Hospital Medical Center’s Emergency Department is critical to treating hundreds of patients every day. 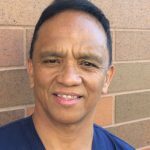 For over twenty years, one of the people who has dedicated his career to taking care of patients is Bobby Serina, RN. Bobby grew up in the Philippines where he attended Liceo De Cagayan College of Nursing. He graduated in 1979 then started working at Doctor’s General Hospital in Cagayan de Oro City in 1980 as an ER/OR nurse. Bobby furthered his education during this time and obtained his BSN Supplemental in 1981. In 1985 he decided to go abroad, traveling to the Kingdom of Saudi Arabia where he worked at the 1400 bed Riyadh Central Hospital in the emergency room. While Bobby was working in Saudi Arabia he met his beautiful wife Menchi who is also an ER nurse. They are blessed with three beautiful children and two grandchildren. He worked in Saudi Arabia for ten years and had the opportunity of a lifetime when he went to work in the Royal Palace clinic in Riyadh. In the years that Bobby spent in Saudi Arabia he learned the culture of the country and the Arabic language which he still speaks very well. In 1983 Bobby’s wife came to the United States and shortly afterwards, he followed. Bobby has been working at Jamaica Hospital for twenty years and he describes his experiences at the hospital as amazing and would not trade it for anything. He feels that he learns something new every day which he feels is so important. He enjoys working with the wonderful people at the hospital who come from so many different parts of the world. Bobby describes the ER as a collaborative effort between the EMS responders, PCA’s, PAR’s, transporters, PA’s, physicians and hospital administration. The camaraderie amongst the staff and the fact that they share a common goal of helping our patients is why they work together so well. Bobby really enjoys making a big difference in patients’ lives and he says, no matter how stressful each day can be, at the end of the day he says he feels a great deal of accomplishment. Bobby is dedicated to his profession and to providing patients with the highest level of care and compassion. When he isn’t working, he enjoys running, working out, playing tennis and basketball. What is especially important to Bobby is his family and he enjoys spending time with them as often as possible. Summer usually means picnics and family reunions, but it also means a reunion with insects that can wreak havoc on outdoor activities. Follow these tips to minimize the potential for bug bites and bee stings. When outdoors – especially in wooded areas – wear long sleeves, pants, and socks to help protect your skin from insect bites. Be aware that insects may be drawn to scented soaps and perfumes. Also, cover food and drain or dump standing water, which attracts most insects. 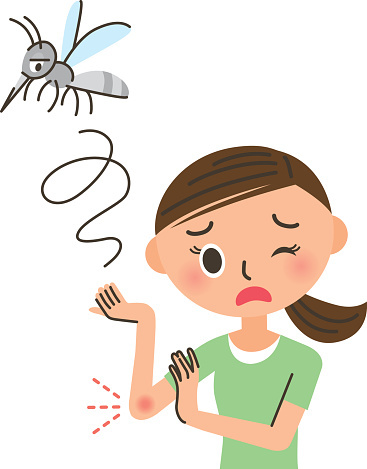 Mosquito bites can be more than just annoying and itchy, they can also make you really sick. Using insect repellent is the best way to protect yourself and your family, especially when traveling overseas. Repellent is the best way to prevent diseases like Zika that are primarily spread by mosquitoes. If a sting occurs, remove the stinger as soon as possible by scraping the area with your fingernail or something with a flat surface, such as a credit card. For bee and wasp stings and non-poisonous spider bites, wash the area thoroughly with soap and water and apply ice to reduce swelling. Continue to wash two or three times daily until the skin has healed. If you are stung in the mouth, seek medical attention immediately. Severe swelling occurs quickly in oral mucous membranes and can block airways, making breathing difficult or impossible. If you have a severe reaction to a bug bite, go to the nearest hospital Emergency Room or call 911. Otherwise Jamaica Hospital’s Ambulatory Care Center is available to help, to schedule an appointment, please call 718-206-7001. Facebook.com/JamaicaHospital and follow us on Twitter @JamaicaHospital ! 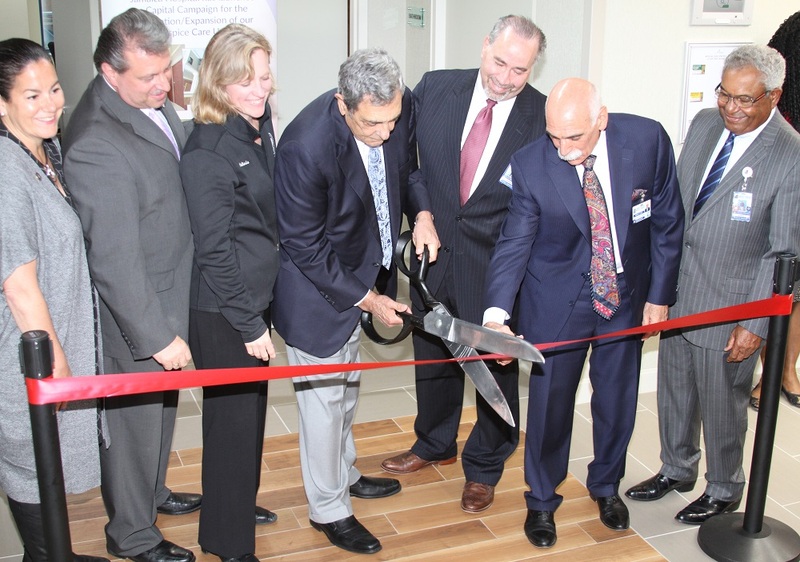 Jamaica Hospital Medical Center is proud to announce that it officially re-opened its Hospice Care Unit, The Ferrara Family Center for Hospice Care, after undergoing a complete renovation. To commemorate the important milestone, a ribbon cutting ceremony was held earlier this month on the unit. Joining Jamaica Hospital in celebrating the completion of the project were elected officials Borough President Melinda Katz, Senator Joseph Addabbo and Assembly Member Stacey Pheffer-Amato as well as others who support the hospital’s efforts to provide essential services to the community. The journey for the Ferrara Family Center for Hospice Care began last year when a $1.3 million capital campaign was initiated by the Hospital’s leadership in an effort to facilitate the renovation. 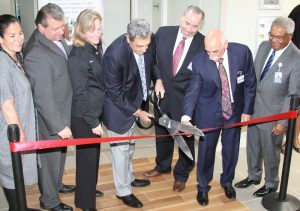 Thanks to the generosity of several donors, including Board Member Joseph Ferrara, the namesake of the unit, the hospital has successfully completed construction. News of the grand re- opening of the unit has been well received by many in the community, as the Ferrara Family Center for Hospice Care was designed to offer end-of-life care in a family-oriented environment. Many upgraded amenities have been provided for patients and families that promote serenity, privacy and will allow them to feel more at home during a difficult time. Additionally, the unit offers comforts such as private and spacious suites for patients, family meeting rooms and a relaxing family lounge that offers loved ones a space to gather, de-compress or reflect. Watch our Interview on NY1 News. Jamaica Hospital now provides a comprehensive consultative wound care service for all inpatients. The purpose of the service, offered though the Nursing Department and run by Rosalyn Beswick, Clinical Nurse Manager and Certified Wound Care Nurse, is to prevent pressure injuries from occurring through education and intervention. A pressure injury (previously known as pressure ulcer) is defined as localized damage to the skin and/or underlying soft tissue usually over a bony prominence. The injury can present as intact skin or an open ulcer and may be painful. Pressure injuries usually occur as a result of intense and/or prolonged pressure. Rosalyn and her team of specially trained wound care technicians provide around the clock coverage for all patients in need of their services. The team performs approximately 50 consults every week with the number growing steadily. “As the providers become more familiar with the services we provide and learn how we can contribute to the recovery of the patients, they are utilizing us more and more” states Rosalyn. One of the main focuses of the wound care team is to provide instructions on how to properly position patients to allow for the appropriate distribution of weight. Another service offered includes monitoring the nutritional status of the patient to ensure they receive a diet high in protein and vitamins as well as adequate hydration. Lastly, the wound care specialists assess patients and offer the necessary moisture management, needed to prevent a breakdown of the skin. To support this effort, hospital administration has made an investment to purchase over 200 new bed surfaces and additional foam wedges, which will greatly benefit the team and the patients they serve. The results of this program have been overwhelmingly positive. Since the inception of the service, the hospital’s pressure injury incidence rate went from 3.48 to .93, well below the national average. As a result Jamaica Hospital’s patients have benefited by reporting decreased pain and suffering and improved quality of life. Nat’l Stroke Awareness Month – Think F.A.S.T! 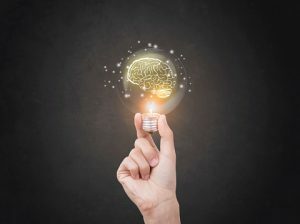 May is National Stroke Awareness Month and in honor of that, Jamaica Hospital Medical Center (JHMC) would like to discuss how you can recognize the warning signs of having a stroke. F- Face Drooping: If one side of the person’s face is drooping, ask them if their face feels numb and ask them to smile. You should be concerned if they are unable to smile or their smile is uneven. A- Arm weakness: Does the individual’s arm feel numb or weak? Ask them to raise both arms and watch to see if one arm drifts downward. S- Speech difficulty: If the person is trying to speak and they are difficult to understand or their speech is slurred, ask them to say a simple sentence, such as “my name is Jane,” repeatedly. T- Time to call 9-1-1: You should never wait more than five minutes to call 9-1-1 if someone is displaying these warning signs. Stroke is one of the leading causes of death and long-term disability in the United States. Eighty percent of strokes are preventable and by spotting these warning signs and acting quickly, the severity of a stroke can be reduced drastically. If someone you know is exhibiting the warning signs of a stroke, call 9-1-1 for help immediately. If you are interested in finding out if you are at risk for a stroke, you can make an appointment with the Jamaica Hospital Medical Center’s Ambulatory Care Center. Call 718-206-7001 for an appointment.